Regularly in lack of time? Out of control of your organisation? An individual coaching session in which we will help you to elaborate, communicate and monitor strategic and tactical plans and implement a positively and workable monitoring system. The leader who knows what is strategic and tactical planing, can start writing it, communicating it as well as monitoring its application. The coaching is conducted individually. 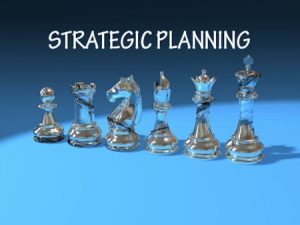 How to write a strategic and tactical plan. How to communicate the plans. How to monitor its application. How to discipline positively when needed. The coaching session varies in time from 4 to 16 hours. Coaching session is done in our offices. “Very systematical and practical oriented information, presented in comprehensible and interesting way. Cause, consequence and ways to handle or correct the situation.” – Partner in Consulting Company. “The seminar gives concrete steps, formulas, methodology how to make things happen.” Financial Director Investment Group. “The seminar was extremely positive and useful in the management of my subordinates, management of the business and understanding the person in front of me (client, colleague, husband).” – Financial control manager in Building Promotors.